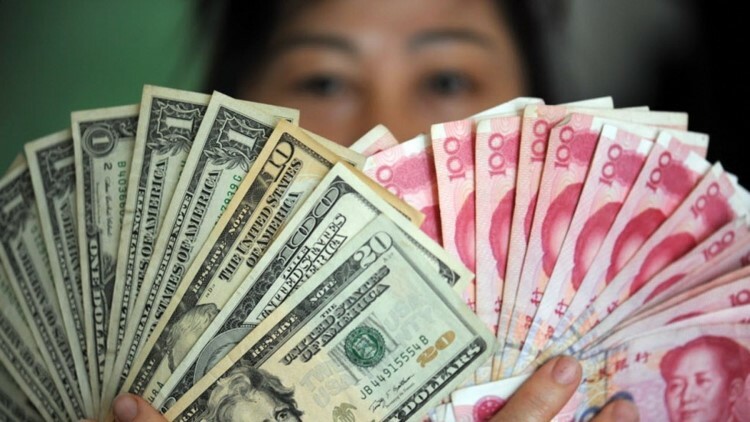 For years, China has manipulated their currency to fuel growth. By pushing the value of the Yuan down, China has been able to subsidize its manufacturing industries and soak up global demand for its cheap exports. Following IMF's November decision to make the Yuan a reserve currency, China made a notably big move to further guide down the Yuan. However, that plan backfired. Last week, investors viewed this move in addition to other weak economic signals as a big red flag for the Chinese economy. As a result, they started betting against the Yuan so aggressively that the central bank was forced to start buying again to stabilize the currency. Essentially, there is a run on the currency. As a result of the aforementioned economic and currency concerns, Chinese stock markets have been reeling. The government has been trying all sorts of strange policies to stop the bleeding such as their "circuit breaker" mechanism (which has only made things worse), intraday trading limitations, daily downward limits (stocks can only drop 10% in a day), suspending currency businesses of some foreign banks, etc. Over $1 trillion of market cap has been wiped out and things only seem to be getting more volatile as capital flees the country. Eswar Prasad, a Cornell professor and former China head of IMF puts it well, "China is now paying the price for its halfhearted approach to market liberalization and its inability to cut the cord from heavy-handed state control of markets and the economy". Chinese equity concerns are also spilling over into global markets. The US and other major international stock markets have been getting hammered, and commodity markets are being affected as well with oil dropping to $32/barrel with some analysts saying it could go down to $20 (China is the second largest consumer of crude). Additionally, there is growing anxiety about the overall health of the global economy. Global GDP growth forecasts are decent at about 3.5% but there are many concerns around a slack in demands for goods and services and many economies are struggling with heavy debt burdens. Basically, the world is really sensitive right now and a flailing China could wreak havoc on international markets. In the US, the Fed is slowly starting to tighten interest rates which will probably put a damper on stocks in 2016, but its a sign that our economy is doing okay (at least in the Fed's eyes). If things continue spiraling out of control globally, it's likely that the US will become the go-to safe haven as it tends to be in times of trouble. In fact, the price of US treasuries (along with gold) has already been ticking up amidst all of the recent turmoil. If global capital is looking for a place to go, then US technology is an obvious place to look. Despite its growing pains, Silicon Valley is still actively investing in the future in cutting edge spaces such as virtual reality, digital health, self-driving and electric cars, and so on. Sure, tech startups right now are racing to right-size and get their burn rates under control and there will be definitely be a lot of blood in the water, but in a tumultuous global environment Silicon Valley tech has an opportunity to be a bright spot. While the tech IPO market was weak in 2015 with very few IPOs, there are still 100+ unicorns out there, a subset of which have an opportunity to go public if they are able to get their ducks in a row. Sure, recent IPOs such as Square and Box went out at disappointing valuations, but they are still multi-billion dollar success stories. Going forward, we might not see as many high flying IPOs such as GoPro, Fitbit, and LendingClub (all of which have contracted considerably since their debut), but that is okay. On the acquisition front, despite fire sales of companies such as Gilt at $250M (once $1B+) and One Kings Lane rumored at $100-200M (once near $1B), we also just witnessed the biggest mega-merger of all time in Dell-EMC ($67B). There have also been big acquisitions of young public companies such as Zulily ($2.4B acquisition by QVC) and King Digital ($5.9B acquisition by Activision-Blizzard). Even Angie's List, a comparatively less attractive business, is being sought after by acquirers (IAC bid over $500M and was rejected). It also doesn't hurt that the big 5 (Apple, Google, Microsoft, Amazon, Facebook) have hundreds of billions in combined cash waiting to be deployed. Point is, it's not all doom and gloom. It might be painful in the near-term, but there is plenty of potential in the IPO and M&A markets for Silicon Valley tech to create value and I am hopeful for what is to come.